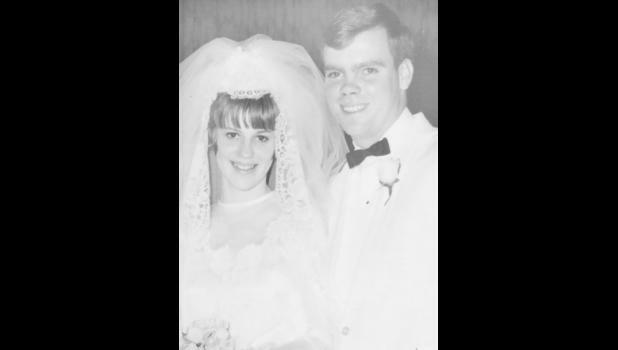 Robert and Karen (Bryant) Dieckmann of Holton will celebrate their 50th wedding anniversary on Thursday, Nov. 1. They were married Nov. 1, 1968, at Wetmore United Methodist Church. They have three children, Sherri Hartter and her husband, Kenny, Luke Dieckmann and his significant other, Kim Lamberson, and Zachary Dieckmann and his wife, Kim. The Dieckmanns have 10 grandchildren, Traice, Mason, Logan, Layton, Landri, Taley, Madison, Karley, Kylee and Kammy. They plan to celebrate with a getaway with their children this weekend.